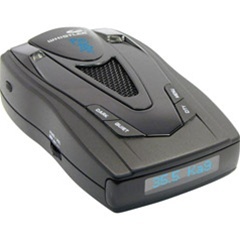 Best Radar Detectors - Testing & Reviews of the latest countermeasures. The complete radar and laser detector source! New 2009 Whistler PRO-78SE's have arrived! After a long wait the highly anticipated Whistler PRO-78SE's have arrived. These are on backorder everywhere but we have them in stock and ready to ship. For 2009 the PRO-78's have been refreshed with a new look and improved KA sensitivity. PRO-78SE's now also include 2 additional fuctions (RSID) Exclusive Radar Signature ID which will displays known Ka gun frequencies which will help users sort real and possible false KA alerts. (LSID) Exclusive Laser Signature ID which displays Pulses Per Second (PPS) of the received laser signals and gives you the ability to lockout certain false laser alerts.